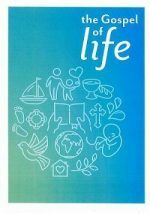 Parishioners from across the diocese are invited to join with us this Lent for four sessions to be offered in three different locations to look at what it means to speak of “The Gospel of Life. These sessions will explore the dignity of the person, the right to a safe home, the right to life from its conception to its natural end, the welcome offered to migrants and refugees, and the care for the whole of creation – in the light of the Gospel and Church teaching. These sessions are being offered as a pilot project on behalf of the Bishops Conference Council for Catechetics.